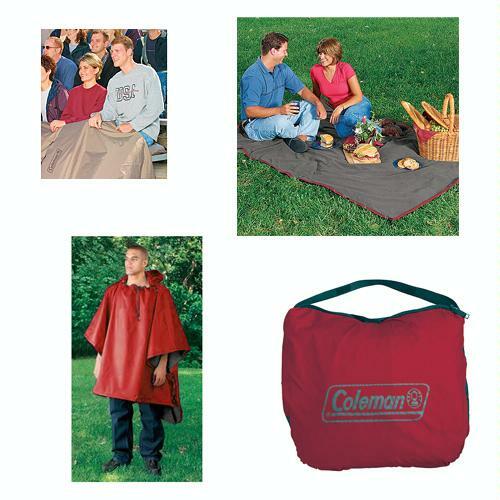 Weather lounging at a picnic, watching the big game at the stadium, or car camping, the amazingly versatile Coleman All Outdoors 3-In-1 Blanket will bring you comfort and warmth. This insulated blanket measures 58 by 83 inches, and is made of a waterproof polyester fabric lined with 140-gram polyester fleece for added warmth. It converts to a hooded poncho, and can be stored in the hood to create a cushioned stadium seat. Easily storable, it's also handy to have available in case of emergencies.